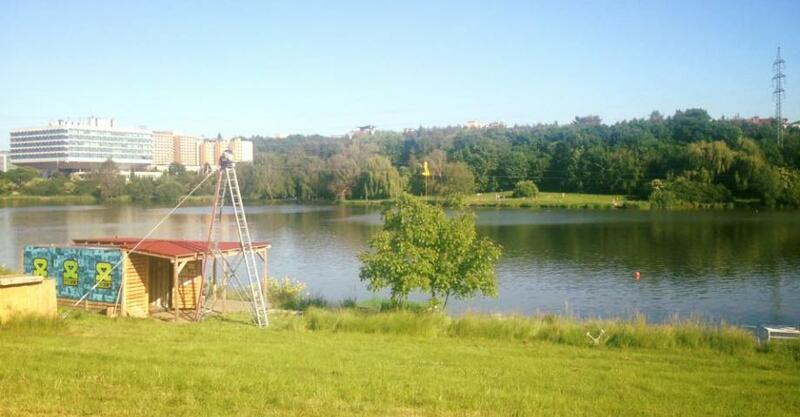 Enjoy a great summer day at the Džbán water reservoir in Prague and try some original sports activities. 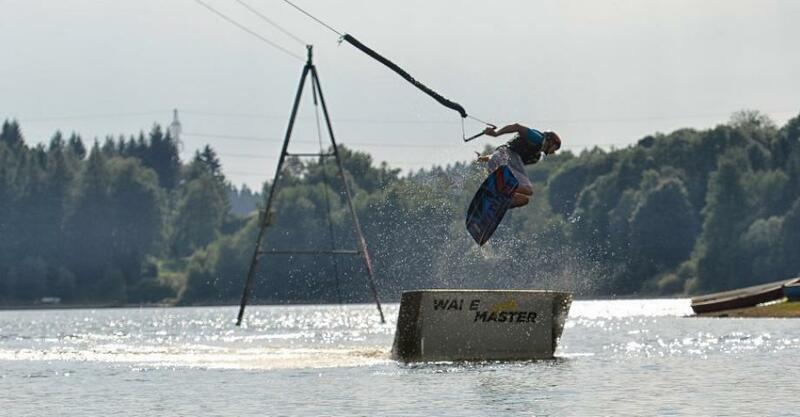 The Cable Wakeboard experience is the right choice for those who not only like the speed of water skiing but also love the jumping and trick making of snowboarding. How does it work? A skilled instructor will introduce you to your wakeboard - a board specially designed to ride on water and perform tricks in the air. He will give you some beginner´s tips and you go for your first test ride. You will be attached to a special cable skiing system that will pull you across the water reservoir and enables higher jumps than with the classic boat tow. After you become sure on the wakeboard, the instructors will prepare a set of obstacles and jumps for you to show off on... 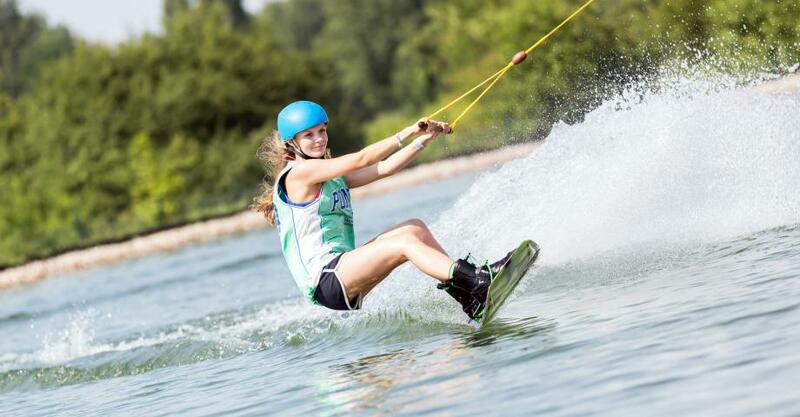 The cable skiing system can be adjusted to your preferences - slower for beginners and faster for experienced wakeboarders. 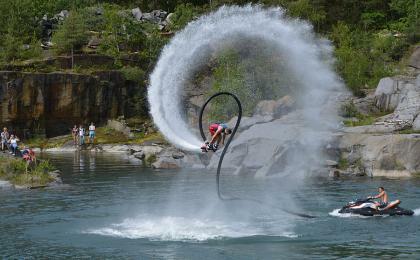 Some basic information about Cable Wakeboarding will be given at the beginning, so you can enjoy the ride as much as possible. 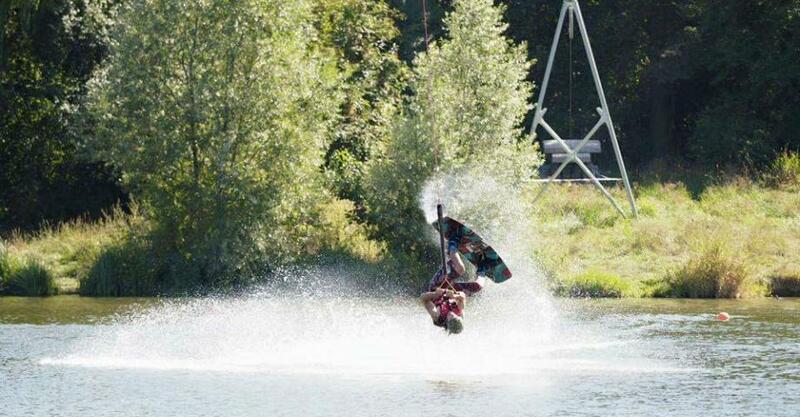 Then you can start wakeboarding. The cable system is rented for one hour and you will share it with 3 other people at the time. The board and vest rent included in the price. 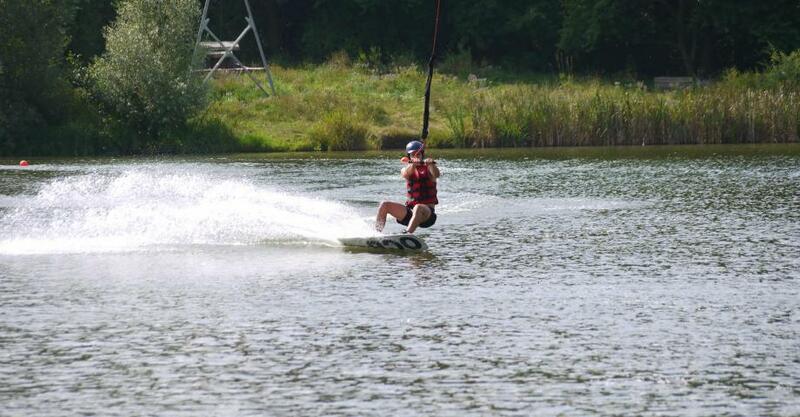 You can wakeboard in almost all weather conditions except storms and strong wind. This activity is designed for one person. 3 other participants can take turns with you. Visitors are welcome to encourage you and take photos. 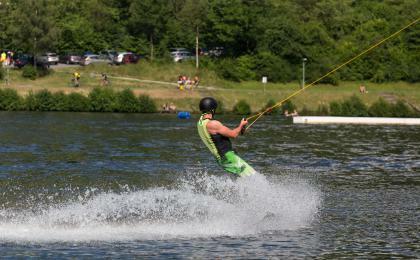 They can do some other activities on site while you are wakeboarding, e.g. pedal boarding, swimming, aqua zorbing, aqua rolling, etc. You only need a swimsuit, the rest of the equipment will be prepared at the site. You can rent a wetsuit if it is cold.